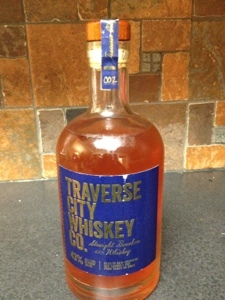 Quinn and I tried a bottle of Traverse City Whiskey Co.'s bourbon last night. It was pretty good darn good. And at $26 per bottle, the price was quite reasonable. It's nice to see local distilleries starting to pop up.